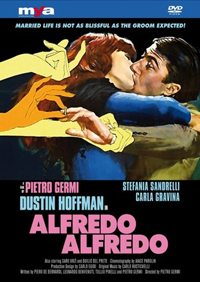 Alfredo Sbisà (Dustin Hoffman) is haunted by his wife’s jealousy. His marriage crumbles away day after day until he decides to get married again. But things start to get from bad to worse, until Alfredo decides that it is for him to stop sobbing and take his love life in his own hands.